Nicole J. Thompson Selected as New CEO of Downtown Durham, Inc.
DURHAM, N.C. (January 24, 2017) – Following a national search, Downtown Durham, Inc. has selected Nicole J. Thompson as its CEO. Thompson will take the helm of the 24-year-old downtown advocacy organization on February 13, 2017. Thompson joins DDI with more than 25 years of economic development and community revitalization experience, most recently as the Executive Director of the Lake County Economic Development Corporation in Leadville, CO. Prior to that, Thompson worked with a host of organizations in Virginia including the Commonwealth of Virginia and the cities of Norfolk and Portsmouth and King George and Fairfax Counties. Full C.V. available upon request.Thompson also brings deep experience in the Triangle. She served as community economic development coordinator with the Durham-based NC Institute of Minority Economic Development. She earned an M.A. in City and Regional Planning from UNC-Chapel Hill to complement her bachelor’s degree in Urban Studies and Political Science from the University of Richmond in Virginia. Founded in 1993, Downtown Durham, Inc. was, is and will continue to be a catalyst for downtown revitalization. It has focused on five priorities: economic development, parking, appearance, safety and promotion.DDI, working with the City, the Durham Chamber of Commerce and other stakeholders, has helped guide Durham to a period of growth and dynamism not seen since the heyday of tobacco and textiles. This includes the construction of new office, retail and housing developments, the flourishing of festivals and the openings of destination businesses. 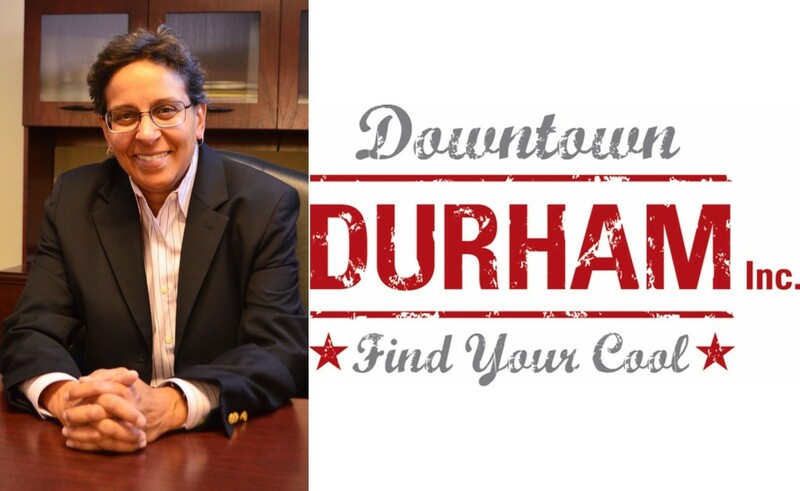 In 2016, it played a key role in the development of a new downtown master plan to be unveiled this year.DDI’s most recent CEO, Geoff Durham, moved to the head role at Durham Chamber of Commerce last February. Since then, longtime Durham businessman and advocate Lew Myers has served as interim president.